Apple on Wednesday introduced the iPhone XS and iPhone XS Max, its new flagship smartphones, and the lower-priced iPhone XR. iPhone XS and iPhone XS Max are the latest and greatest models with the most features. That also makes them the most expensive, starting at $999 and $1,099 respectively in the United States, versus the iPhone XR at $749 and up. To make the buying decision easier, we’ve put together a comparison of the iPhone XS, iPhone XS Max, and iPhone XR below. iPhone XS Max has a larger 6.5-inch OLED display and one-hour-longer battery life, but otherwise identical tech specs as the iPhone XS. What do I lose with the iPhone XR? With a $250 lower price point, the iPhone XR doesn’t have all of the bells and whistles of the iPhone XS or iPhone XS Max. Apple had to make some trade-offs to get the price down, but not as many as one might expect. We’ve explained the differences between the iPhone XR and iPhone XS in more detail below, but from a bird’s eye view, expect some compromises related to the display, cameras, and overall design. Apple has also replaced 3D Touch on the iPhone XR with a new haptic feedback solution named Haptic Touch. Like the previous-generation iPhone X, the iPhone XS has a 5.8-inch display, while the iPhone XS Max has a larger 6.5-inch display. The iPhone XR slots between those sizes, with a 6.1-inch display. 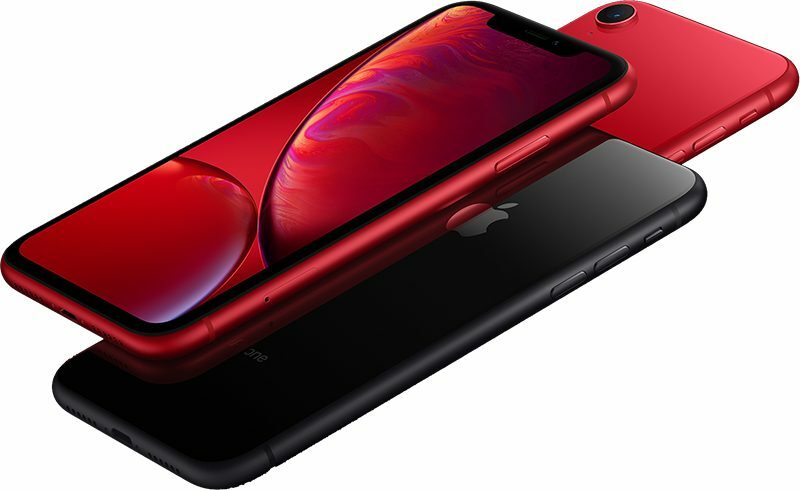 While the iPhone XS and iPhone XS Max have OLED displays, the iPhone XR uses an LCD as a cost-cutting measure. Due to the limitations of LCD technology, the iPhone XR display is not quite edge to edge, with marginally thicker bezels than the iPhone XS and iPhone XS Max. The LCD on the iPhone XR has a resolution of 1792×828 pixels, or 326 pixels per inch, quite a bit lower than the 2436×1125 pixels resolution of the iPhone XS display, good for 458 pixels per inch. Apple has been using LCDs since the original iPhone, and its displays are generally among the best in the industry, so despite not being OLED, the iPhone XR should still provide a quality viewing experience. On a display-related note, Apple has replaced 3D Touch on the iPhone XR with a new haptic feedback solution named Haptic Touch. Beyond the display differences, the overall design of the iPhone XR is a bit different than the iPhone XS. For example, the iPhone XR has an aluminum frame along the edges, rather than stainless steel. The back of the iPhone XR is still composed of glass, so it supports Qi-based wireless charging. On that note, Apple says the iPhone XS and iPhone XS Max have “improved” wireless charging, so it’s possible those models will have increased output, with fast charging on the iPhone XR remaining up to 7.5W. iPhone XR is marginally thicker than the iPhone XS and iPhone XS Max at 8.3mm versus 7.7mm for the latter two models. Beyond the slightly thicker display bezels, single-lens rear camera, and additional colors, this is more-or-less an iPhone XS-esque device, with a notch for the Face ID sensors and a nearly edge-to-edge display. There’s also the usual Lightning connector, speaker grilles, volume switches, and so forth. 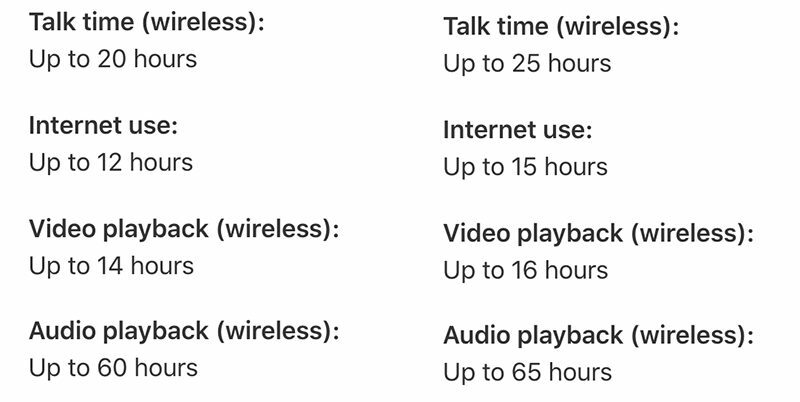 Despite being less expensive, the iPhone XR actually achieves between two and five hours longer battery life per charge cycle, depending on the task, compared to the iPhone XS. In fact, the iPhone XR has slightly longer battery life than even the iPhone XS Max, which gets two less hours of web usage. This is likely because the iPhone XR’s so-called Liquid Retina display is less power hungry than OLED displays, and due to more physical space for a larger lithium-ion battery pack inside the iPhone XR. All three new iPhones have a 12-megapixel rear-facing wide-angle camera lens, but the XS and XS Max have dual camera arrays with an additional 12-megapixel telephoto lens, whereas the XR has the single lens. This means the iPhone XR lacks 2x optical zoom, which is the ability to zoom in on a subject up to 2x without any blurriness. Digital zoom, which does add blur, is limited to 5x, versus 10x on the XS and XS Max. Despite having a single-lens rear camera, the iPhone XR has advanced technologies that enable Portrait Mode with Depth Control, which can automatically adjust the depth of field or bokeh effect in the background of photos. iPhone XR also has Smart HDR, bringing more highlight and shadow detail to photos. All three new iPhones have a 7-megapixel front-facing TrueDepth camera, but the iPhone XR is limited to three Portrait Lighting effects: Natural, Studio, and Contour. iPhone XS and XS Max models also have Stage and Stage Mono effects. iPhone XS and iPhone XS Max are available in 64GB, 256GB, and all-new 512GB storage configurations. iPhone XR comes with 64GB, 128GB, or 256GB, so if you’re looking for the new 512GB option, you’ll have to pay up for an XS or XS Max. iPhone XS and iPhone XS are available in Silver, Space Gray, and Gold finishes. 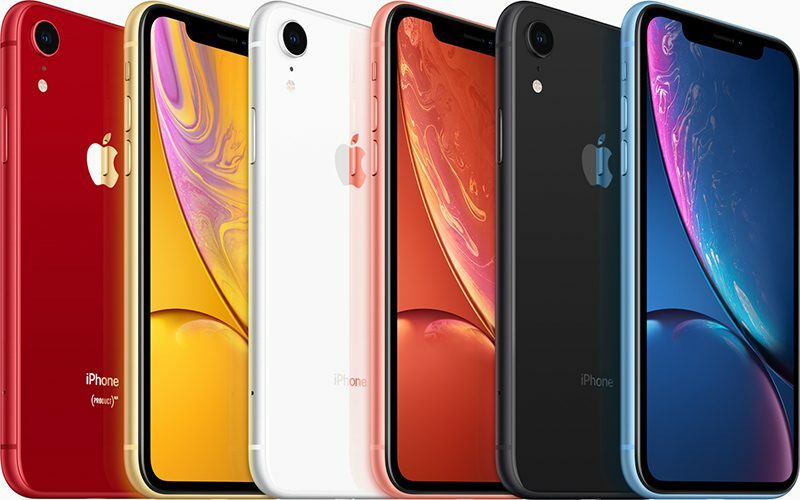 iPhone XR is offered in a wider variety of finishes, including Blue, White, Black, Yellow, Coral, and (PRODUCT)RED. As mentioned up top, the iPhone XR starts at $749 in the United States, representing $250 savings over the iPhone XS, priced from $999. It’s also $350 less expensive than the iPhone XS Max, priced from $1,099. As another comparison, last year’s iPhone 8 and iPhone 8 Plus now start at $599 and $699 respectively. So, should I buy an iPhone XS or iPhone XR? For many people, the iPhone XR is the one to get. It’s the iPhone X for people who don’t prefer spending $999 or more on a smartphone, but still want a powerful and capable device with the latest tech specs. We recommend the iPhone XR to anyone who wants a taste of the iPhone X era: a large, nearly edge-to-edge display with a notch, Face ID, a glass back, and both wireless and fast charging. You’ll also get Portrait Mode with Depth Control, Smart HDR, and the same performance improvements of the A12 Bionic chip. iPhone XR also a larger display than the iPhone XS, and longer battery life than both the XS and XS Max. We recommend the iPhone XS, and more so the iPhone XS Max in particular, for anyone who wants the absolute best iPhone available today: up to a 6.5-inch OLED display, up to 512GB of storage, the A12 Bionic chip, IP68-rated water resistance, a stainless steel frame, gigabit-class LTE, and so forth. iPhone XS and iPhone XS Max are available to pre-order on Apple.com and through carriers as of today. iPhone XR pre-orders begin October 19.